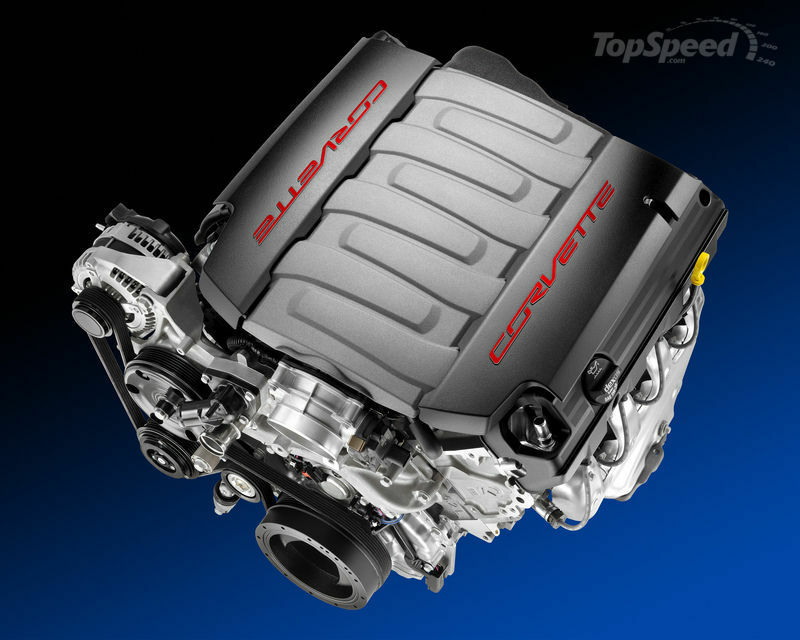 Chevrolet has just announced the information on the 2014 Corvette’s all-new engine. This new powerplant is a 6.2-liter V-8 --- not the 5.5-liter that everyone was thinking – and it boasts loads of technical goodies that make it better than any engine the mighty `Vette has ever had. 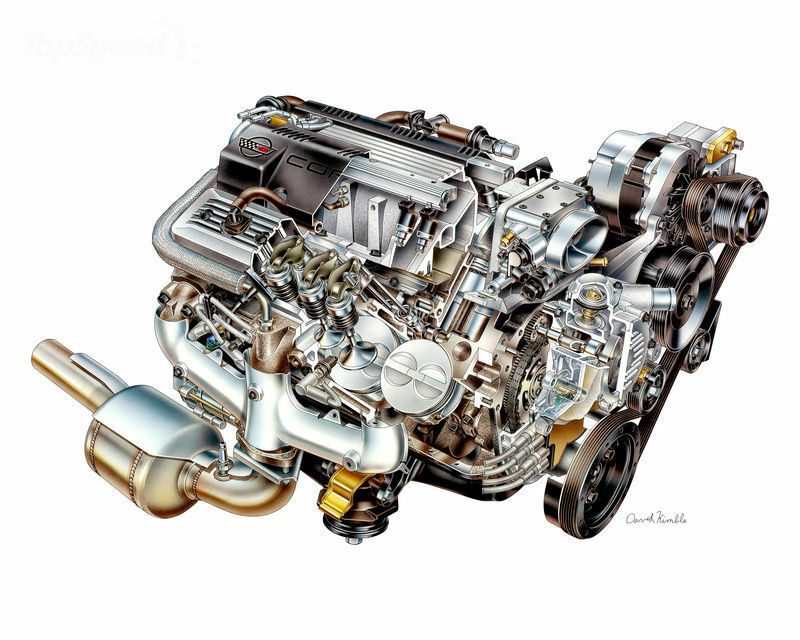 Allow us to introduce you to the all-new LT1 Gen V engine, which pumps out an impressive 450 horsepower at 6,000 rpm and 450 pound-feet of torque at 4,000 rpm – that’s a 20-horsepower and 26 pound-feet increase over the outgoing 6.2-liter. 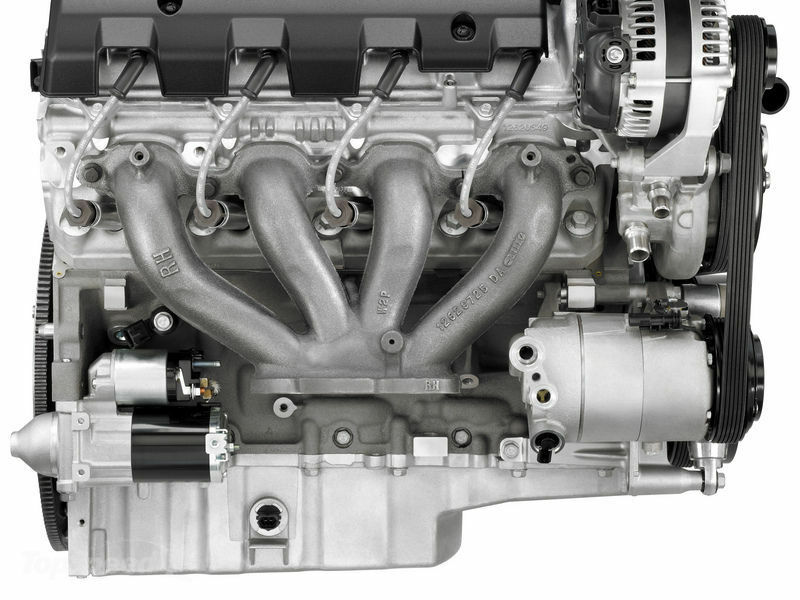 One thing that GM did not change up is the fact that the LT1 Gen V engine will retain the OHV and cam-in-block configuration that the small block engines before it did. Yeah, we know, a little dated, but if it works for GM’s engineers then so be it. 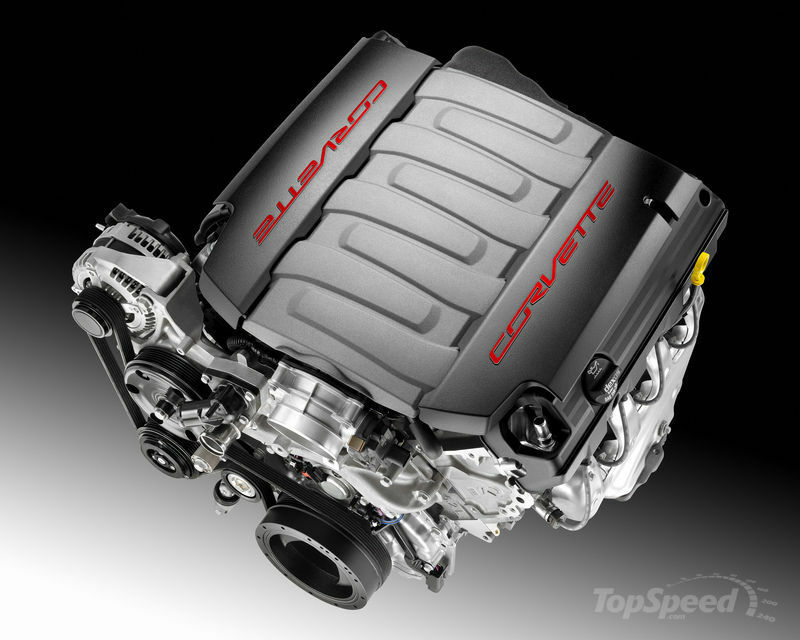 Hit the jump for a detailed analysis of the new Chevrolet LT1 V8 engine for the Corvette C7. 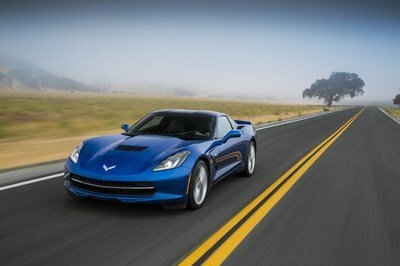 GM anticipates a 26 mpg city rating for the 2014 Corvette. 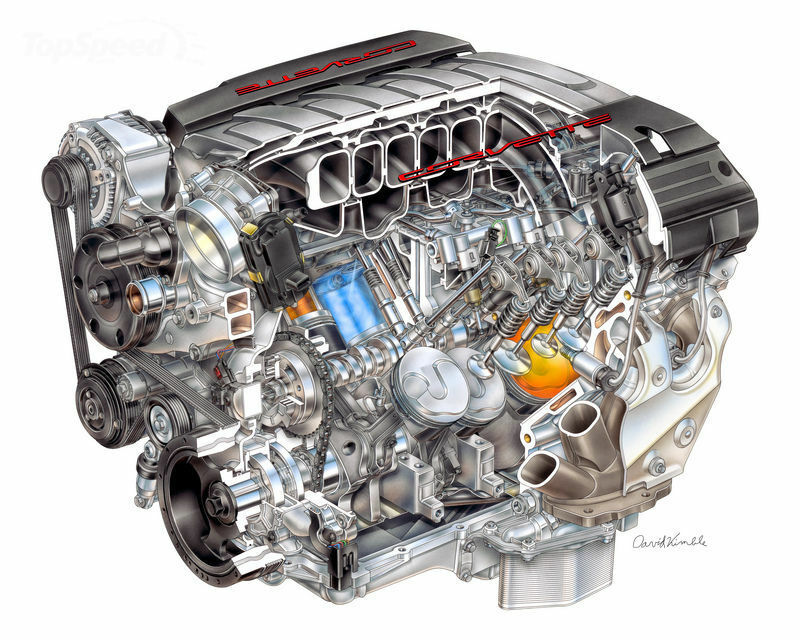 GM is claiming that the 2014 Corvette will be one of the most fuel-efficient 450-horsepower cars ever, as this LT1 engine will feature cylinder deactivation, which GM has dubbed Active Fuel Management. This will shut down cylinders No. 1, 7, 6 and 4, leaving the `Vette with a 3.1-liter V-4 engine. The engine will also feature direct injection and variable valve timing to help it use less fuel. In fact, GM anticipates a 26 mpg city rating for the 2014 Corvette. The new 6.2-liter LT1 V-8 engine has an 11.5-to-1 compression ratio and its direct-injection system is neatly buried in the engine, leaving plenty of room under the hood for other goodies. The direct-injection pump runs off of a 5.7 mm (0.224-inch) lift lobe on the camshaft and produces an astounding 2,175 psi of pressure. 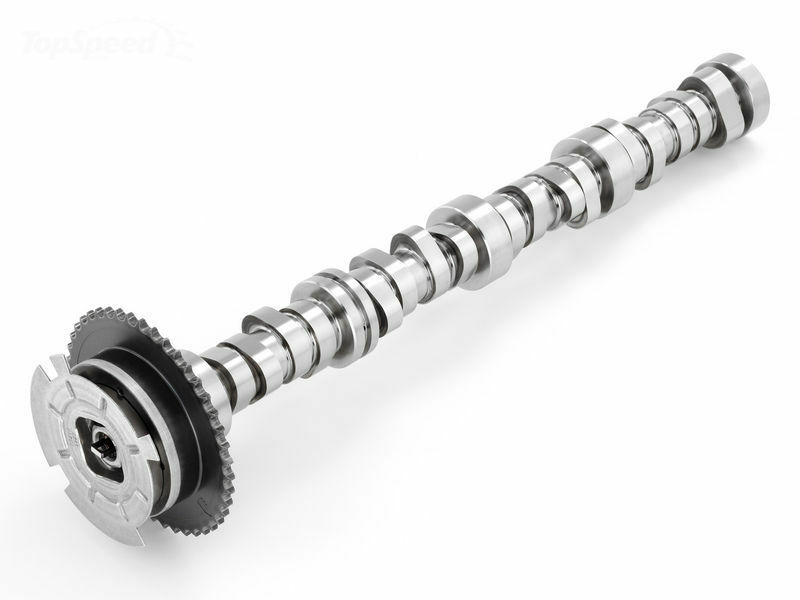 Sodium-filed and stiffened exhaust valves grace the exhaust side of the cylinder heads – the sodium helps keep things cool to reduce emissions and extend catalytic converter life. 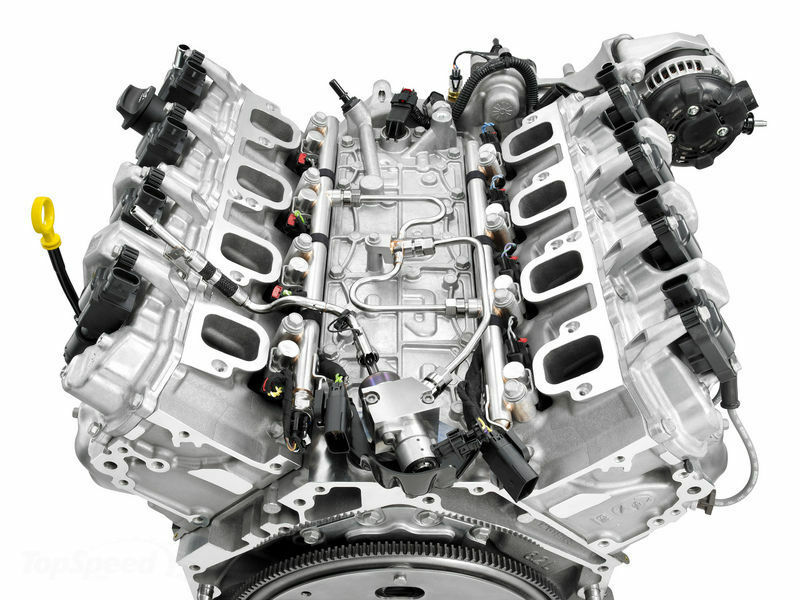 The intake valves on this new 6.2-liter V-8 engine are the same 55 mm (2.165-inch) size as the outgoing LS3 engine, but the exhaust valves grow by 0.4 mm (0.015 inches) to 40.4 mm (1.59 inches). That may not seem like much, but that allows significantly more exhaust flow thereby increasing horsepower potential. 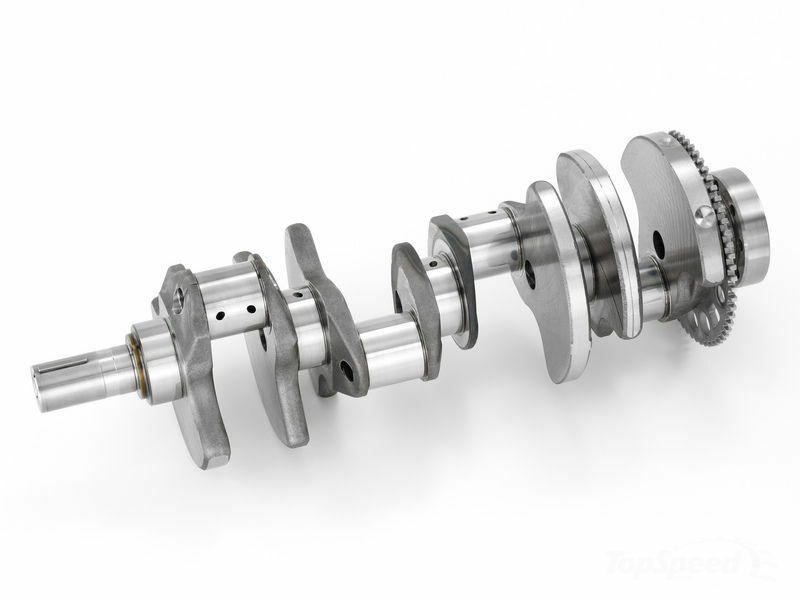 The camshaft that drives these valves is also brand new, but it shares the LS3’s 14 mm (0.551-inch) lift on the intake side and a 13.3 mm (0.524-inch) lift on the exhaust side. The variable valve timing system can adjust the timing by up to 62 degrees, but it adjusts the exhaust and intake valves at the same time. This simultaneous adjustment is great for easing the engineering process, but being able to control each side independently is ideal. Inside the block, the C7 Corvette is getting high-strength aluminum pistons. In order to help the LT1 hit the all-important 11.5-to-1 compression ratio, these aluminum pistons are a pop-up style and the combustion chambers are downsized. The cylinder heads have large, straight, and rectangular intake ports, but they also have a slight twist, which creates a vortex to better mix the air and atomized fuel. Another modification is an adjustment to the spark plug depth, which places the combustion-creating spark closer to the center of the combustion chamber – this helps assure a complete ignition of the air-fuel mixture. Pumping the pistons is a forged crankshaft made from 1538 MV steel and a set of polymer-coated, bi-metal, eccentric-design bearings connect the piston connecting rods to the crank. At each end of the crank is a nodular iron bearing caps, which absorbs vibration and noise more effectively than the outgoing powder metal caps. This helps lower the amount of vibration the driver feels. The aluminum treatment continues outward to the block which is 319 precision cast from aluminum. The block itself is built on the same architecture as the LS3 block, but it was modified to accept the new direct fuel injection and it has new mounting points, knock sensor locations and improved sealing. This gives the LT1 6.2-liter a 1.033-pound-per-horsepower to 1.257-pound-per-horsepower victory over the fame Bimmer engine. 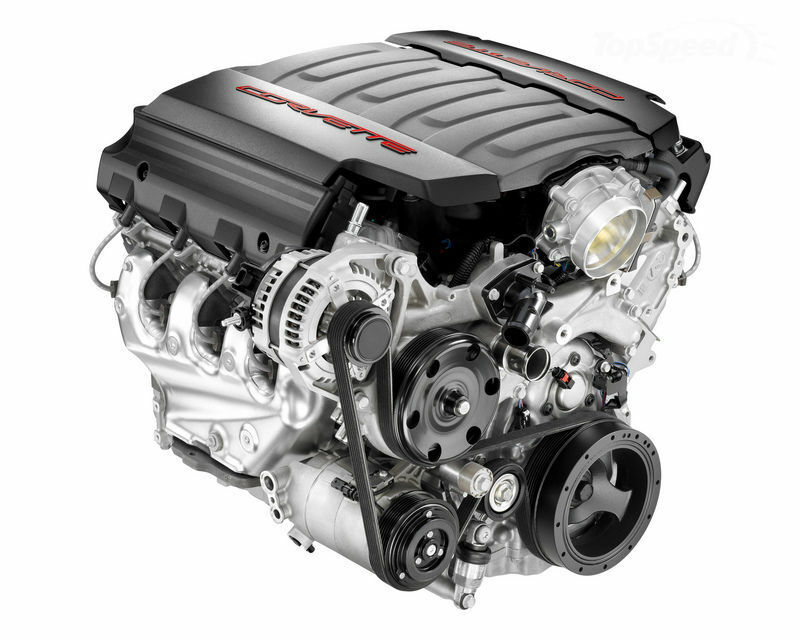 A key to engine building is how many ponies you can pump out per pound, and that is exactly why Chevy went to such great length to minimize the engine’s weight. In fact, this 6.2-liter engine weighs just 465 lbs and is 25.3 inches tall. To put that into perspective, the ultra-powerful BMW 4.4-liter V-8 is mammoth when compared to the LT1, measuring 29.6 inches tall and weighing 503 lbs. 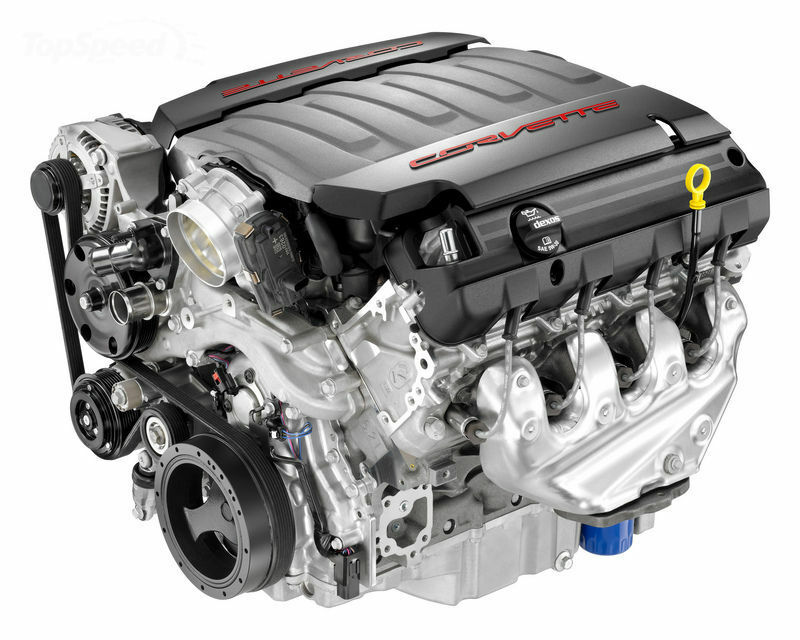 To boot, the 4.4-liter powerplant falls 50 horsepower short of GM’s new LT1 engine. This gives the LT1 6.2-liter a 1.033-pound-per-horsepower to 1.257-pound-per-horsepower victory over the fame Bimmer engine. 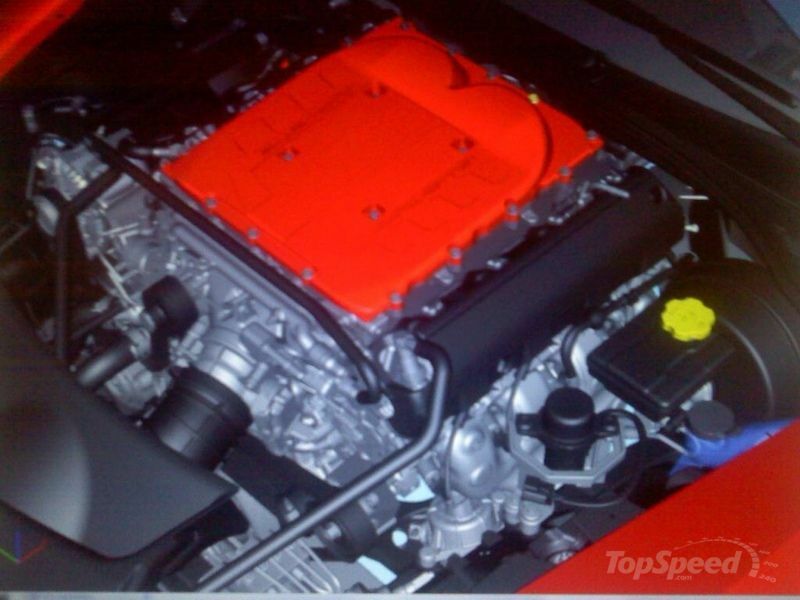 With the power increase and weight savings, GM expects the 2014 Corvette to post up a sub-4-second 0-to-60 time. Oh yeah, and this is just the base engine. Chevy hasn’t even mentioned anything about what will power the Z06 `Vettes of the C7 generation. This looks a lot like the old Mazda 2.5 v6 excep they did not pursue far enough to add overhead cams with the Mazda setup when you steped on the gas it wet very quickly, for a 99 model it ran well. i wonder how will the competition respond to this revolutionary engine. the c7 corvette promises to be a good car. 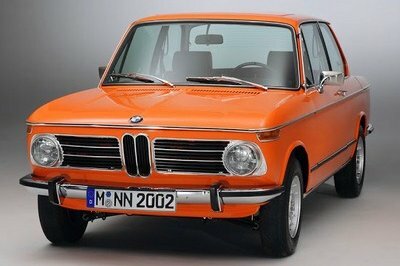 a good-for-all car. nice! this engine promises a lot of good things. and i am sure the rest of the car will not let us down either. 26 mpg in the city is better than what i can get out of my honda civic. but then again, i transit the city during rush hour. brad may be right. 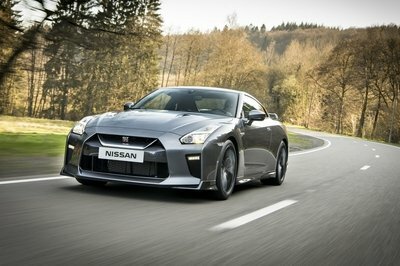 it will be more economical then other 6.2 liter 450 HP engines. but when compared to a family car it will have outrageous MPG. innovation has not always been the strong point for the guys at chevrolet, but they out-done themselves now. you do remember the fact that is can shut down 4 of it’s cylinders, right? that does cut down the fuel consumption a lot when not driving fast. midocar, you may be right. but it’s a starting point, isn’t it? 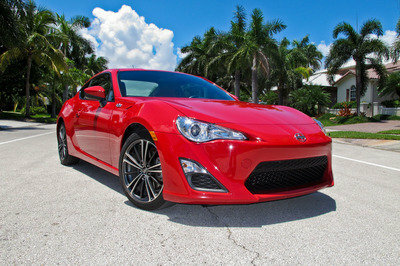 making it the most economical 450 Hp engine does not make it an economic engine over-all. it only seems fair: new car, new engine, right? 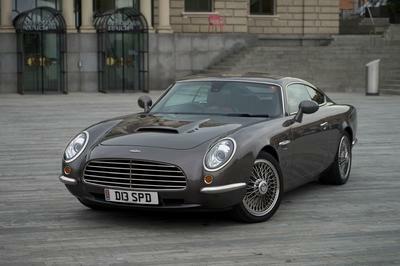 i love the fact that all car manufacturers are thinking towards doing more economical cars. that sounds like a revolutionary engine for the new ’vette.